Not everyone prefers to start their week on a Monday. Setmore allows you to start your workweek on a Saturday, Sunday, or Monday. In the Settings menu, tap Week Start Day. 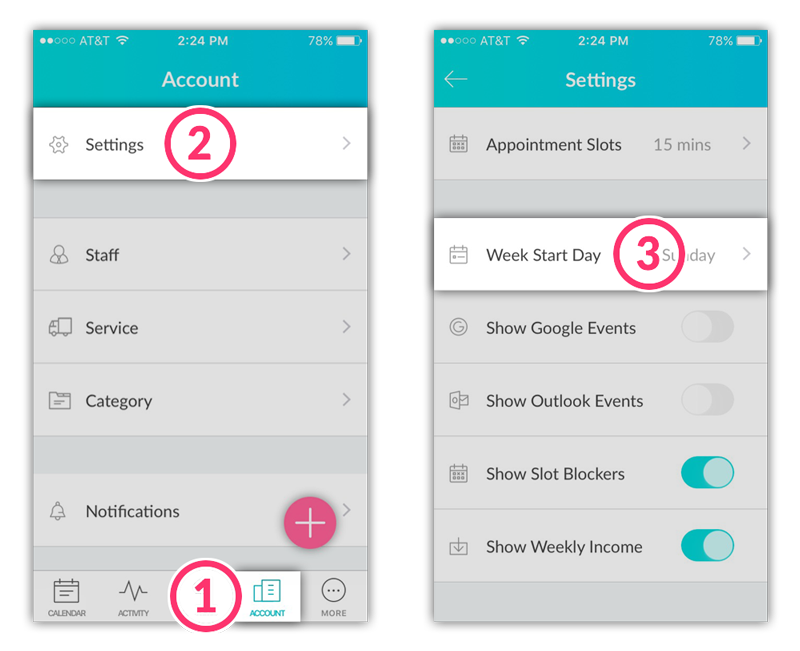 Tap to select your preferred week start day, and then tap the Save button in the top right corner of the screen. Business hours are different from staff working hours. Click here for more information on managing your staff working hours.